Below you fill find all funeral homes and cemeteries in or near Dysart. 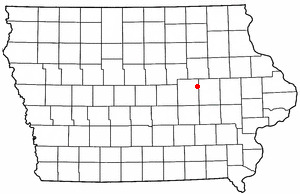 Dysart is also known as: Tama County / Dysart city. Zip codes in the city: 52224. Some of the notable people born here have been: (bill heckroth). It was written by Waterloo/Cedar Falls Courier on November 18th, 2018 that Lily Dorothea Riexinger (Barta) died in Dysart, Iowa. Ms. Riexinger was 94 years old. Send flowers to express your sympathy and honor Lily Dorothea's life. It was disclosed by Waterloo/Cedar Falls Courier on September 20th, 2018 that Robert Dean Knoop passed on in Dysart, Iowa. Knoop was 83 years old. Send flowers to express your sorrow and honor Robert Dean's life. It was disclosed by Waterloo/Cedar Falls Courier on August 7th, 2018 that Gary William Billerbeck perished in Dysart, Iowa. Billerbeck was 76 years old. Send flowers to express your sympathy and honor Gary William's life. It was revealed by Waterloo/Cedar Falls Courier on March 29th, 2018 that Ann L Welter (McDermott) passed away in Dysart, Iowa. Ms. Welter was 85 years old and was born in Great Falls, MT. Send flowers to express your sorrow and honor Ann L's life. It was disclosed by Waterloo/Cedar Falls Courier on November 15th, 2017 that Carroll W Master Sgt Hilmer passed away in Dysart, Iowa. Hilmer was 86 years old. Send flowers to express your sympathy and honor Carroll W Master Sgt's life. It was reported by Waterloo/Cedar Falls Courier on June 25th, 2017 that Dennis Reding perished in Dysart, Iowa. Reding was 60 years old. Send flowers to express your sorrow and honor Dennis's life. It was disclosed by Waterloo/Cedar Falls Courier on June 2nd, 2017 that Margaret Helene Baker (Keen) passed away in Dysart, Iowa. Ms. Baker was 96 years old. Send flowers to express your sorrow and honor Margaret Helene's life. It was written by Waterloo/Cedar Falls Courier on May 18th, 2017 that Ronald L Penning passed away in Dysart, Iowa. Penning was 73 years old. Send flowers to express your sympathy and honor Ronald L's life. It was revealed by Waterloo/Cedar Falls Courier on April 18th, 2017 that Genevieve M "Gen" Iezek (Wacha) died in Dysart, Iowa. Ms. Iezek was 95 years old. Send flowers to express your sorrow and honor Genevieve M "Gen"'s life. It was written by Waterloo/Cedar Falls Courier on April 17th, 2017 that Genevieve Iezek passed away in Dysart, Iowa. Iezek was 95 years old. Send flowers to share your condolences and honor Genevieve's life. Dysart is a city in Tama County, Iowa County, Iowa, United States. Lyons. The population was 1,303 at the 2000 census. The Mayor of Dysart is currently Don E. .
Find funeral homes in Dysart, IA using the funeral homes directory. Search for Dysart funeral homes at Caring.com. Overton Funeral Home, Dysart, IA : Reviews and maps - Yahoo! Local, 319.476.7355. Get Ratings, Reviews, Photos and more on Yahoo! Local. Listing all funeral homes in Dysart, Iowa so you can easily send flowers to any location (same day delivery) or find any funeral service. Dysart Funeral planning made easy! Learn how to pre-plan your funeral in Dysart, Iowa, including step-by-step directions. We work with local florists and flower shops to offer same day delivery. You will find budget sympathy flowers in Dysart here. Our funeral flowers are cheap in price but not in value.